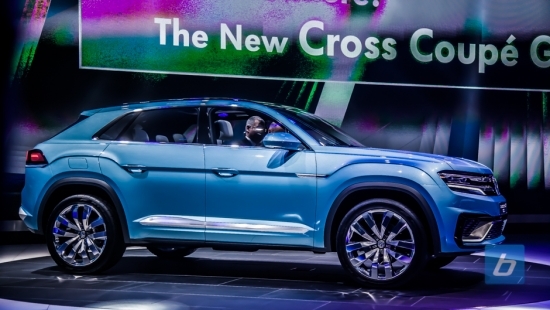 Two years ago here in Detroit, Volkswagen debuted the CrossBlue concept, a plug-in hybrid SUV that would slot in above the Touareg. That same year in Shanghai VW unveiled the CrossBlue Coupe and today they are unveiling an update to those concept which they are calling the Cross Coupe GTE. Which of course wears a blue paint job. As the name evolves, so too does the design. 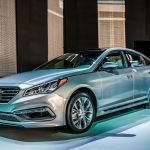 Gone are the more concepty headlight and taillights and aggressive body work. The Cross Coupe GTE looks nearly production ready. VW plans to begin production at the end of 2016 on this new 7-seater SUV so it’s a pretty good bet that we’ll see the curtain lift on a production model next year here in Detroit or possibly New York. 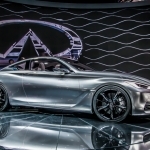 While the new SUV will be a 7-seater, the Cross Coupe GTE gives a preview of what is to come in the form of a 5-seater here at the 2015 NAIAS. 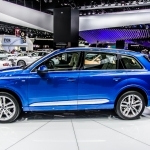 VW is, by showing off all these SUV variants, essentially showcasing how flexible the underlying MQB architecture is. 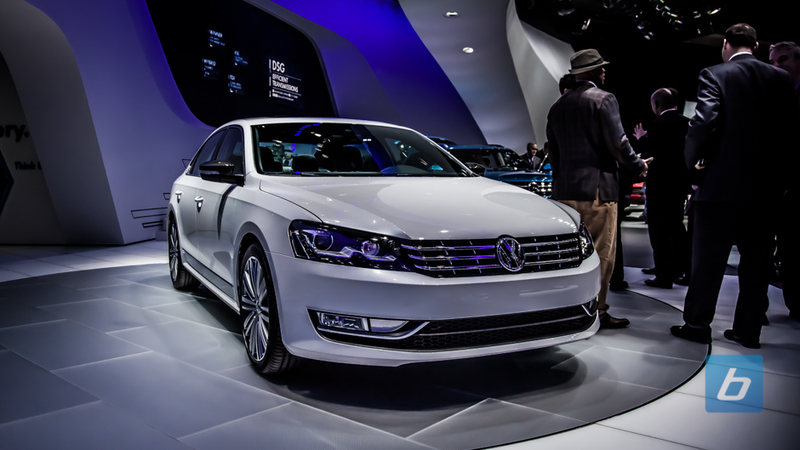 Size wise, the Cross Coupe GTE is about the same as a Touareg measuring about 4.8m in length, 2.03m wide and 1.73m tall. 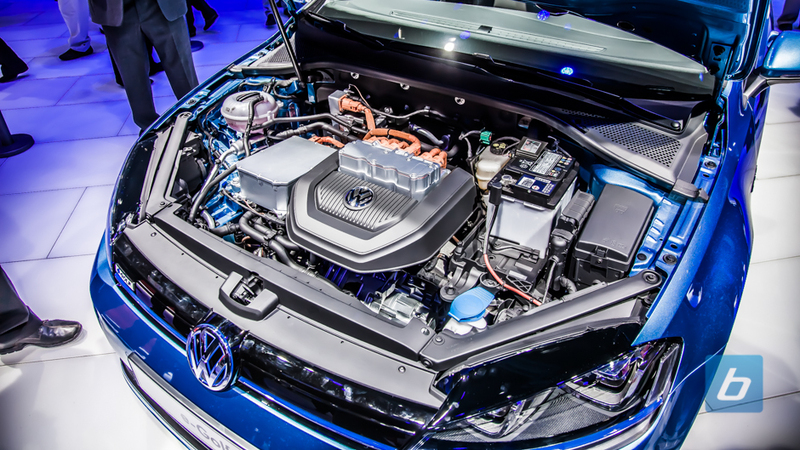 The Cross Coupe is powered by a 3.6L VR6 gasoline engine mated to two electric motors, each powering a set of wheels. The 276 horsepower and 258 lb-ft of torque from the gas engine is combined with the 54 horsepower and 162 lb-ft of torque from the front motor and 114 horsepower and 199 lb-ft of torque from the rear motor. Total system output of the drive system is 355 horsepower and 280 lb-ft of torque. The Cross Coupe has an all-electric range of up to 32 kilometers and has a 0-60 time of just 6.0 seconds.